Located in central California, Yosemite National Park is a breath-takingly beautiful place with vast sheer granite cliffs, lush green meadows and fast flowing waterfalls. Established as a national park in 1864, it has been a Unesco World Heritage site since 1984. Most of its tourism is focussed on the main valley, however the park actually stretches over 1,200 miles. With views to rival the Grand Canyon and a huge amount of ‘must do’s’ in the guidebooks, it can be a little bewildering to know where to start, especially when you are visiting as a family. 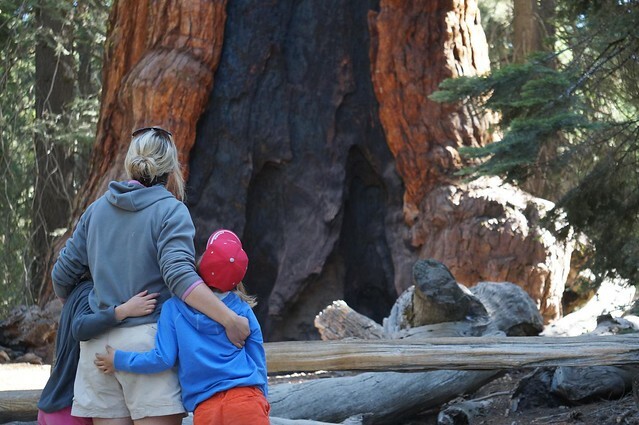 Children have only so much tolerance for views and sight seeing in National Parks, especially when they are constantly in and out of cars, so based on travel with our own children, we have put together our highlights which combine a mixture of views and activities. 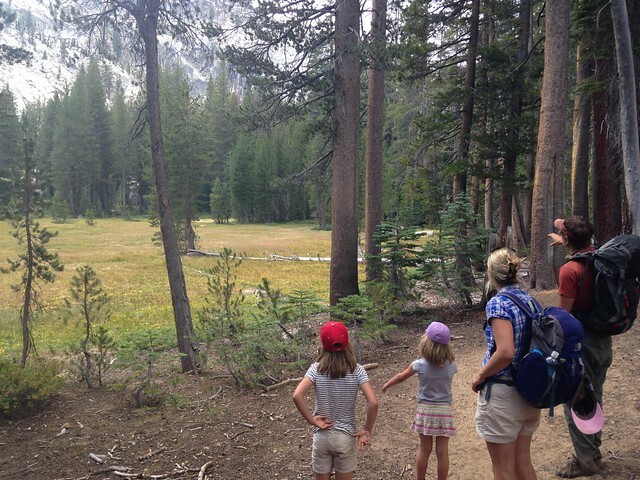 Even the most cynical of kids can’t fail to be amazed by the views at Yosemite. The key is not to drag them round to each and every view point, but pick out the very best. 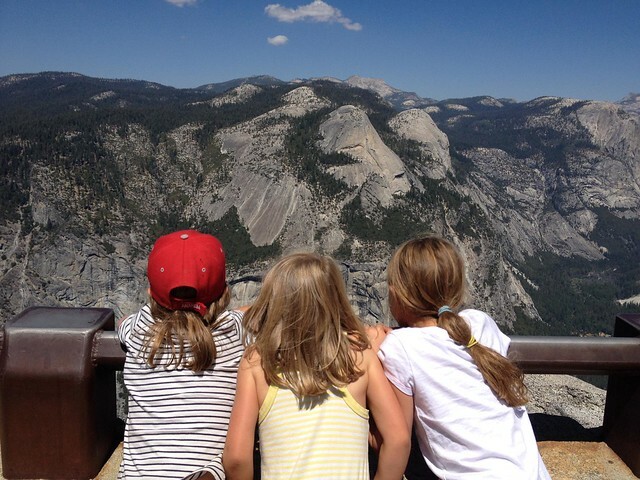 If you are going to one and only one, then Glacier Point offers fantastic views of the valley and the iconic Half Dome. During peak seasons, there is usually a ranger there with a telescope through which you can see climbers on the rock. We suggest you beat the crowds and go early, take a picnic with you and enjoy your breakfast with a spectacular view. Whilst exploring under your own steam can be a lot of fun, we do recommend a day with a guide who can take you off the beaten track and away from the hordes of other visitors. There are some lovely day hikes that you can do, from the Panorama Trail offering stunning views of the valley, or a hike up to one of the many waterfalls in the park. Your guide is very knowledgeable about the geology and history of the area and will go to great efforts to make sure that everyone in the family is involved and enthused about the area. 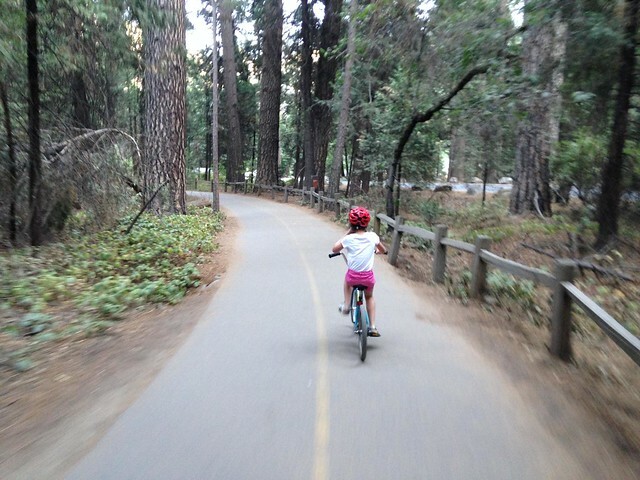 The floor of the valley is flat and with a excellent network of bike paths, it is an excellent place to hire bikes and explore on two wheels. We recommend this activity later in the day, when the crowds have gone and it is a bit cooler. Passing over rivers and through meadows and forest you are surrounded by the huge rock formations which can give you an amazing sense of the sheer scale of the place. If you are visiting in the summer months, then Yosemite valley can get very hot. With much of the day spent in the car driving between view points, a swim can be very welcome and fortunately there are plenty of opportunities in the valley. River beaches are marked on the map given to you when you first enter Yosemite and parking is easy. The water is surprisingly warm and views are second to none, so make sure that you always have towels and costumes in the car when you head out. In the south of Yosemite you can view some of the largest and oldest trees in the world. The largest of the Giant Sequoias is the Grizzly Giant. Estimated to be over 2,000 years, this tree is over 64 metres tall. Another draw is the California Tunnel Tree, which you can walk through. There are several walking options in the Grove. We suggest visiting early to make sure you get a parking space and to beat the crowds. 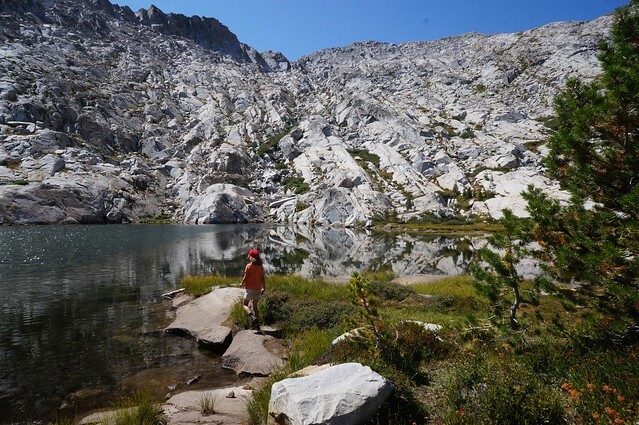 If you are one of those people who is truly allergic to other people, then you might want to consider our wilderness trek in the Ansel Adams Wilderness area. Hiking 6 miles into the wild, you will set up a base camp by an alpine lake where you can swim and relax, far far away from anyone else. Your guide will take you on day walks from your camp, scrambling up peaks or to other lakes in the area, but the focus of the trip is really about getting back to nature and away from modern life. Your bags and camping equipment are all transported by mules, so you just have to hike in with your day gear.